Are plastic bag laws effective? The good news is there are plastic bag laws being adopted throughout the U.S. with the intention of curbing the use of single-use plastic bags. However, how effective these laws are can vary. With this in mind, PlasticBagLaws.org partnered with Scientist Action and Advocacy Network (ScAAN) to develop a comprehensive spreadsheet of plastic bag law effectiveness data. ScAAN’s members are doctoral students, PhD-holding research scientists, and professors who donate their skilled labor and expertise to our partner organizations. ScAAN’s members volunteer pro bono to compile brief, targeted literature reviews, and analyze pre-existing data. City of Chicago, IL: After the implementation of a 7-cent fee in Chicago, IL, the number of plastic bags used at grocery stores was cut in half, according to a joint University of Chicago-New York University study. They also found that after the implementation of the fee, the number of people bringing reusable bags increased by 2.5 times, and that the number of people who didn't use a bag nearly tripled. 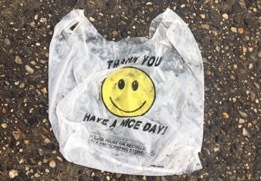 City of San Jose, CA: In under one year in San Jose, CA, a ban on thin plastic bags, coupled with a 10-cent fee on paper reduced bag litter in rivers to less than a third of the pre-ordinance levels. Neighborhood plastic bag litter from plastic bags dropped by more than half. The prevalence of reusable bags increased from 4% to 62% post-ordinance and the prevalence of customers not using a bag increased from 19% to 43% post-ordinance. The major recycling collection company in San Jose cut the time spent untangling plastic bags from their machines nearly in half. A key takeaway from the studies summarized is that Fees on All Bags and Ban/Fee Hybrids laws are effective at reducing overall carryout bag consumption through changing consumer behavior. Please email info@plasticbaglaws.org if you know of other effectiveness studies that should be added to the Effectiveness Spreadsheet.